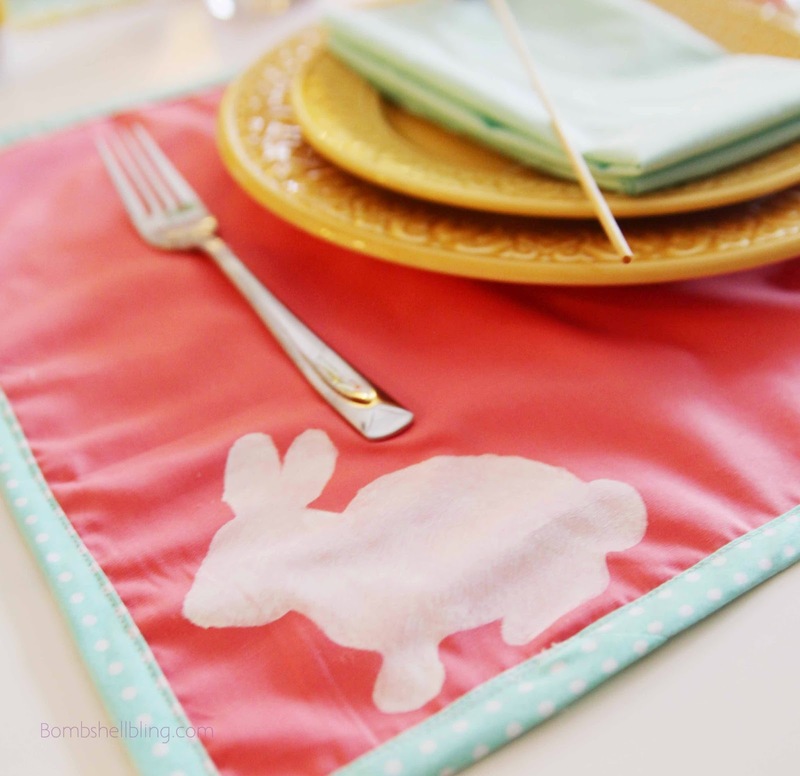 Easter Placemats Tutorial - Make your Easter table festive and fun! 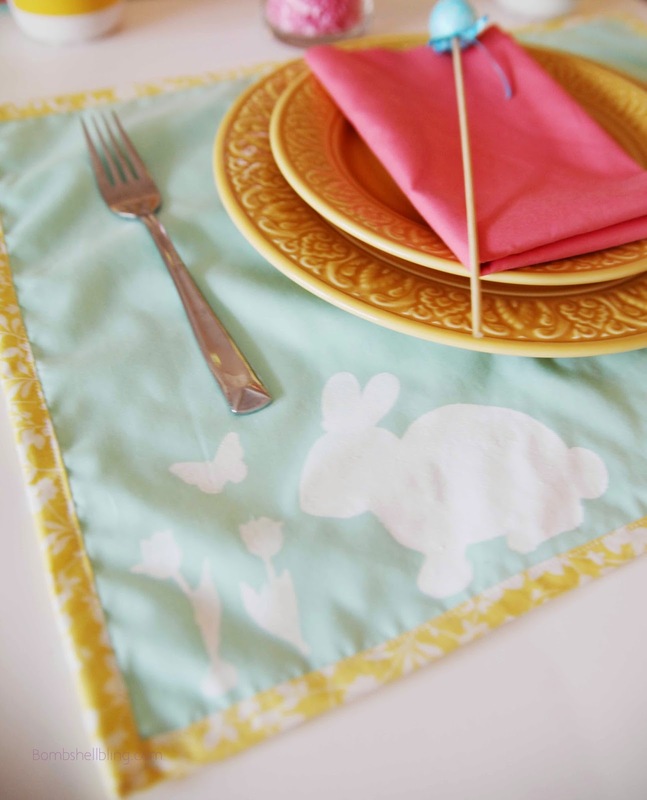 Make these sweet Easter placemats for your Easter tablescape using this awesome tutorial. Simple, sweet, and sure to delight the guests at your Easter dinner! I’m getting excited for Easter! I really wanted to have a cute Easter table this year, so my first order of business was to make some Easter placemats. First, cut your rectangles. Mine are 15 x 20 inches. I just used two pieces of cotton fabric. The placemats aren’t stiff, but that doesn’t bother me. 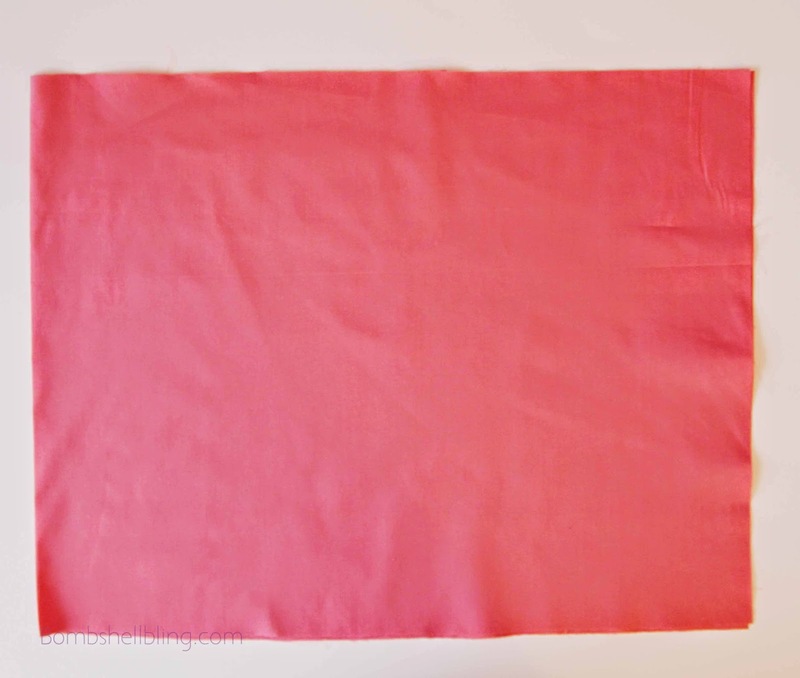 If you are looking for a thicker more heavy duty place mat, I would put interfacing in between the two pieces of cotton. 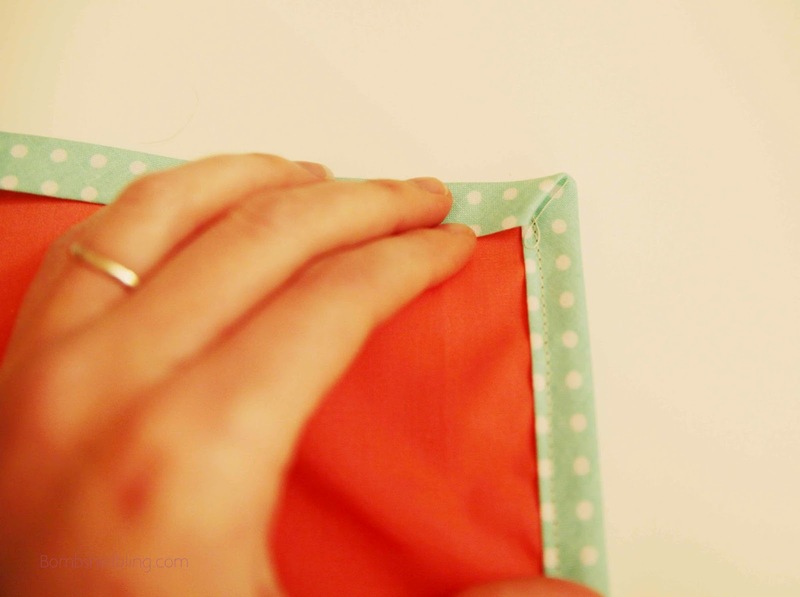 Then, take your bias tape and sew it around the edges of your rectangles. 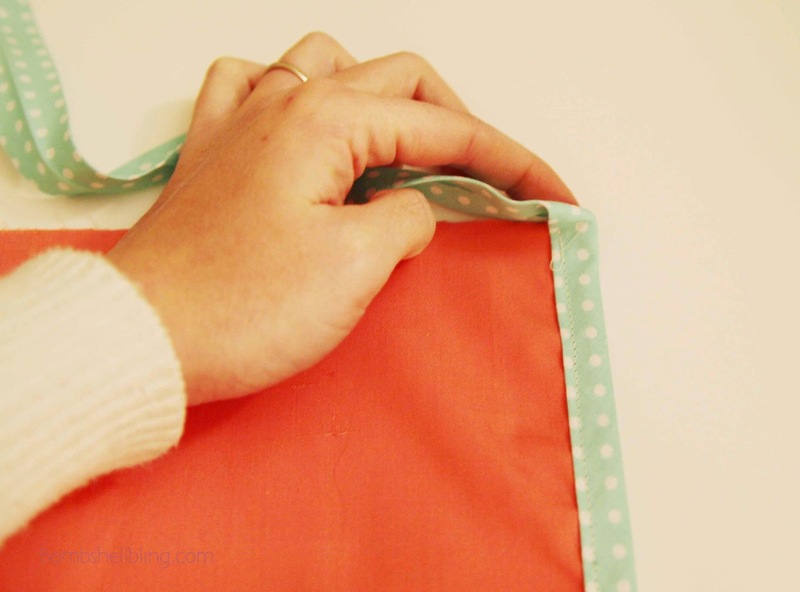 You will need to miter the corners, which means you will fold the bias tape around the corners. First flatten the bias tape with your finger. 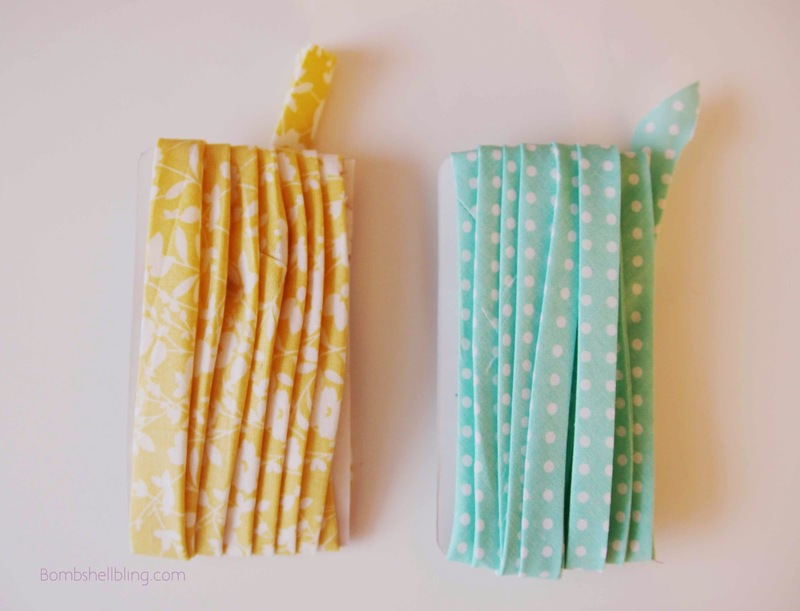 Then fold the bias tape at an angle. Once the bias tape is sewn, you can cut out your stencil. I created mine with my Cricut, using shapes that I had on my program. Then go ahead on stencil on your Easter design. And then you are done! Enjoy your cute Easter dinner! This pom pom bunny tail bunting is adorable! It is festive and fun and oh-so-sweet! Follow this simple tutorial to make your own for use decorating this Easter season! This lovely Easter watercolor printable is sure to make your home feel fresh and festive! Simply print it out and stick it into a frame for some new, fun holiday decor! What a great idea! I really like the colors you used and the sweet bunny stencil. very cute. love the color combinations. These are darling! I can hardly wait to try this for the grandchildren! How cute of placemats, you make it look so easy!! This is my first time to your blog, what a cute name!!! Thanks so much for stopping by to link and share on The Oh My Heartsie Girl WW this week!! I love the colors and bunnies. So cute for spring and Easter!Thanks for linking this post to the #PureBlogLove link party! These placemats are adorable. Love the colors and bunnies!Thanks for linking this post to the #PureBlogLove link party! I love how these turned out. I just ordered my own Cricut machine and can’t wait to start making projects like this! Thank you so much for linking this up at This Is How We Roll Thursday. So cute! I love the stenciled bunnies. This would also be a great idea for mug rugs (I love mug rugs!). 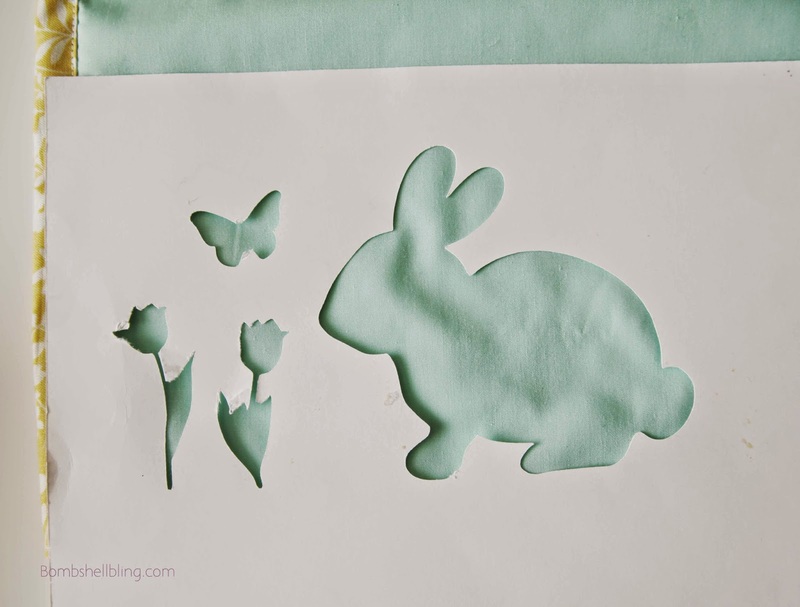 I love the idea of stenciling the bunny pattern. Your place mats turned out great. Pinned, shared…Thanks for sharing at the Inspiration Spotlight Party @DearCreatives hope to see you again soon! Your placemats have been featured this week at Two Uses Tuesday – Pop over and grab your I’ve been featured pin! So adorable and such a great idea to make custom made placemats! I love this!! Would love to see you at my craft party which is new Thursdays at 7pm EST. Have a great rest of the week! Very sweet! Thanks for sharing with SYC. Those are so cute and so simple to make! pinned.